Seniors Patrick Wright (far left) and Ethan Dodd (center) played the national anthem at the Nationals game Sept. 28 in a quartet. Blues Alley Youth Orchestra and director Michael Bowie (far right) organized the jazz arrangement. Photo courtesy Patrick Wright. 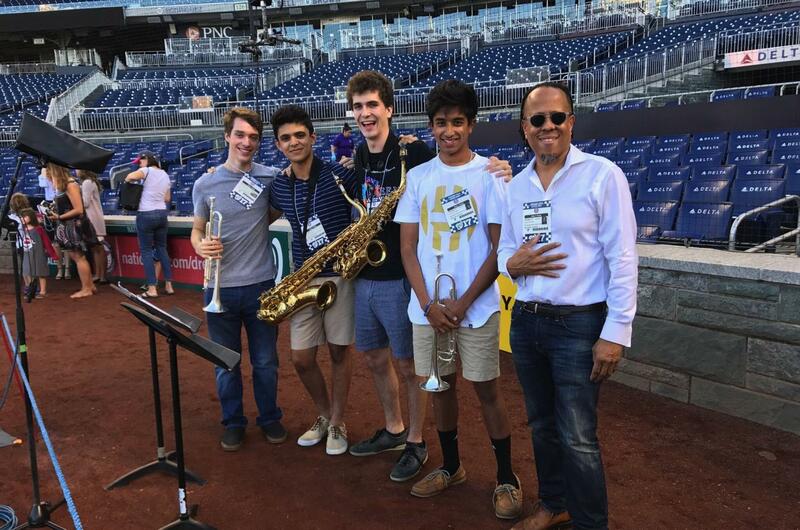 Seniors Ethan Dodd and Patrick Wright performed the national anthem at the Washington Nationals game Sept. 28 in a horn quartet. The pair earned the opportunity through their weekly participation in Blues Alley Youth Orchestra, a select jazz ensemble in D.C. They began rehearsing the jazz arrangement the week of the performance, with Dodd on saxophone and Wright on trumpet. The quartet met the challenge of playing the arrangement’s complex harmonies against the sound system’s delay and hope to carry lessons from these difficulties into future performances, Wright explained. 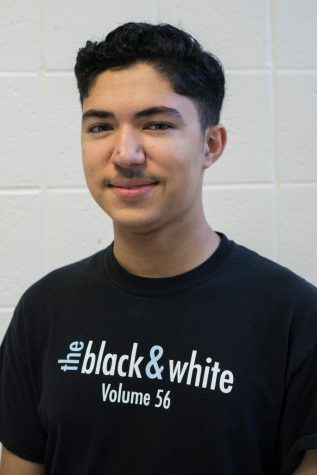 “It was a really good experience for me because you have, to a lesser extent, the same types of harmonies in the Whitman big band,” Wright said. “I think getting that training for listening has helped me and will help me a lot here,” Wright said. The experience also held symbolic meaning, Dodd said. Each musician participates in two in-school ensembles including Whitman’s jazz ensemble. In addition, Dodd and Wright pile on numerous musical extracurriculars such as the Maryland Classic Youth Orchestra and Montgomery County Senior Honors Jazz Ensemble, respectively. Performing for a stadium full of strangers in a professional setting also proved a different experience from typical, smaller and more familiar jazz gigs or classical settings, Dodd said. “I could put it on a resume, and it’s a cool gig—it’s not paid but it’s just cool to [play for] an audience that large,” said Dodd.